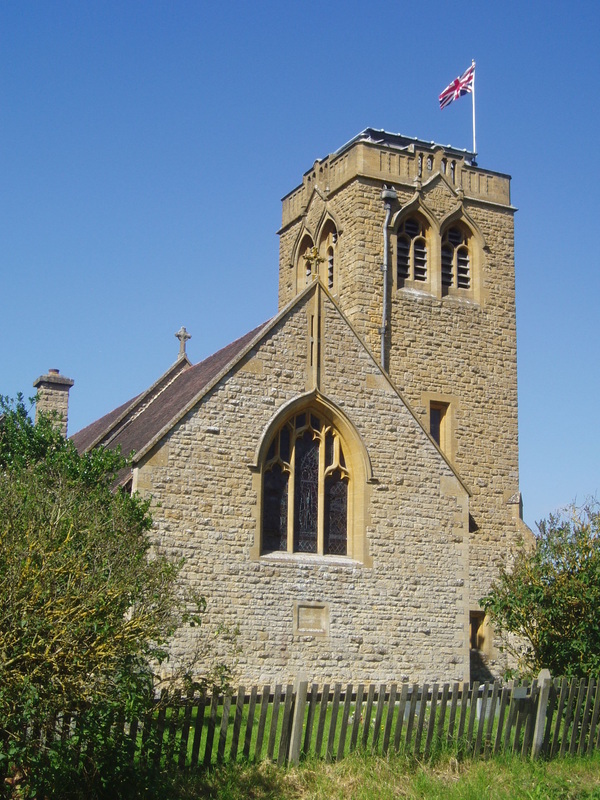 This is a church that had long intrigued me, ever since being driven past it as a child en route to Stratford, when I recall being puzzled by the unusual lead box on top of the tower, looking like the stump of an incomplete spire (but apparently not so, purely an access point for the parapet). 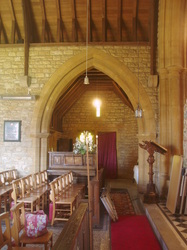 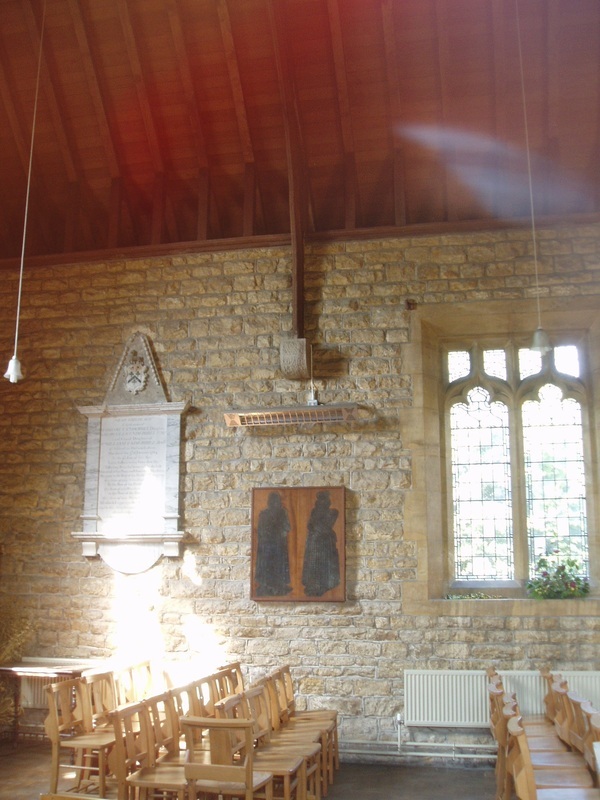 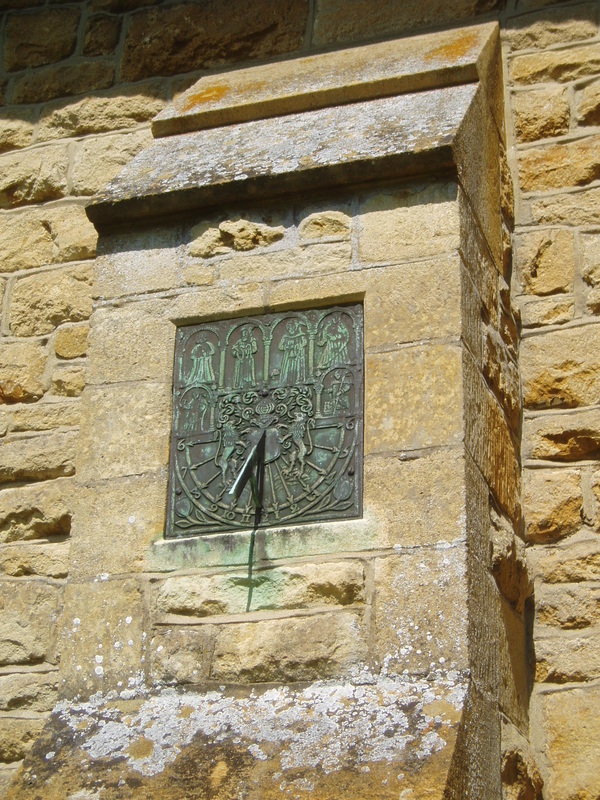 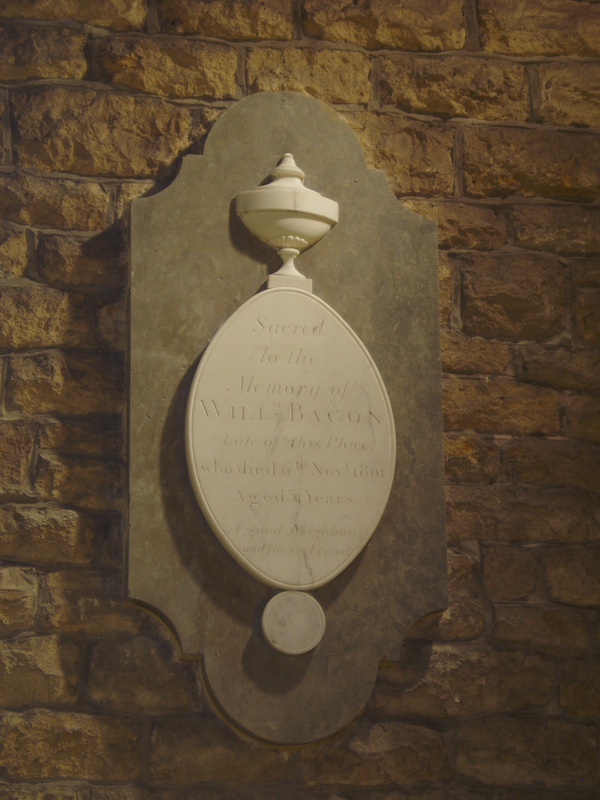 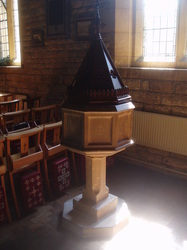 Years later I was even more puzzled to read that Ettington had not just one but three churches altogether, each in turn assuming the mantle of parish church for the village before being replaced for one reason or another. 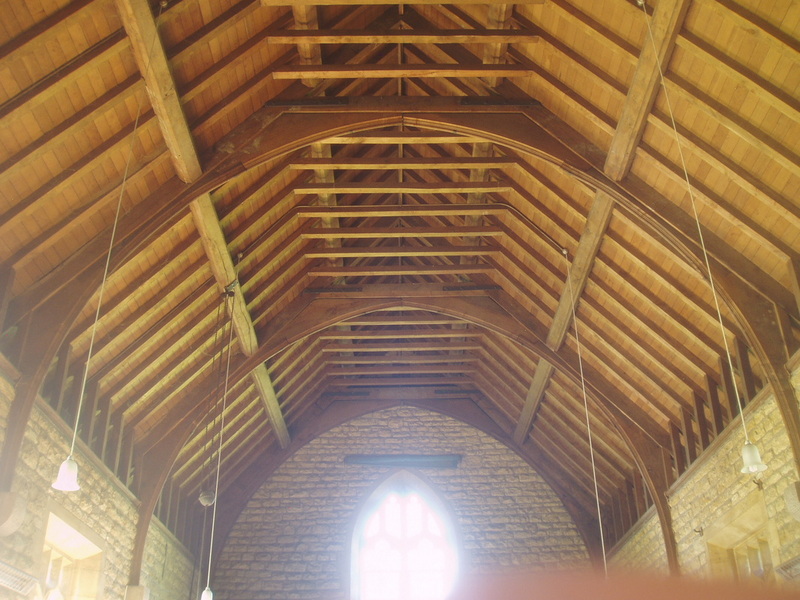 Thus my interest in this village was further kindled, I'd best recap. 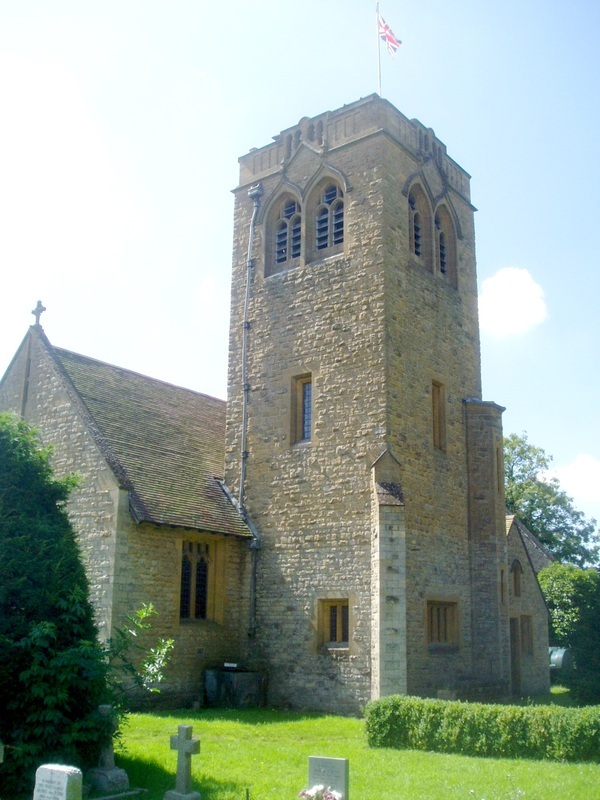 The original church of Holy Trinity (also known as St Nicholas) stands nearly two miles away at Ettington Park, in the grounds of the remarkable Victorian gothic mansion (now a hotel). 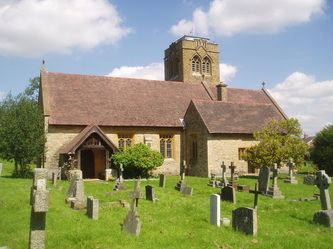 This was the site of the original village, but all was cleared away when the Shirley family desired a deer park instead and relocated to it's new site to the north. The old church remains as a partial ruin, with only it's tower and south transept (now the Shirley mortuary chapel) still roofed. 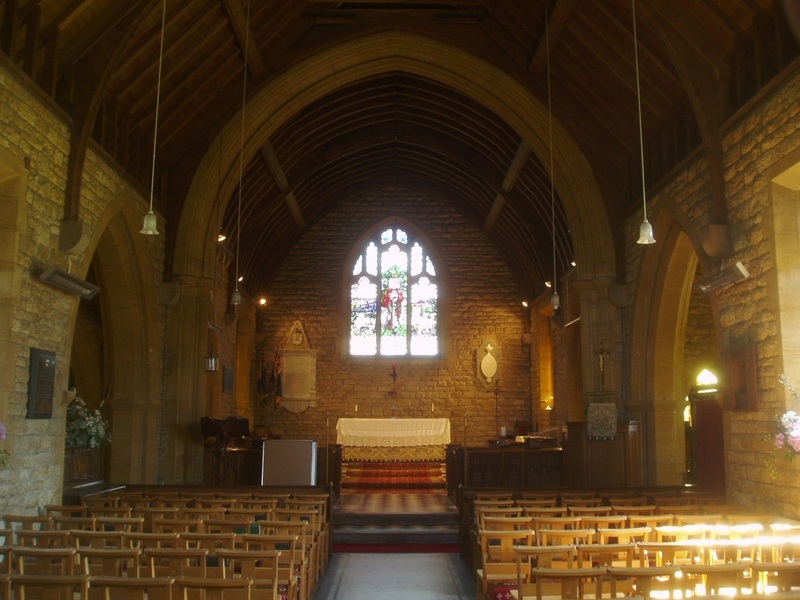 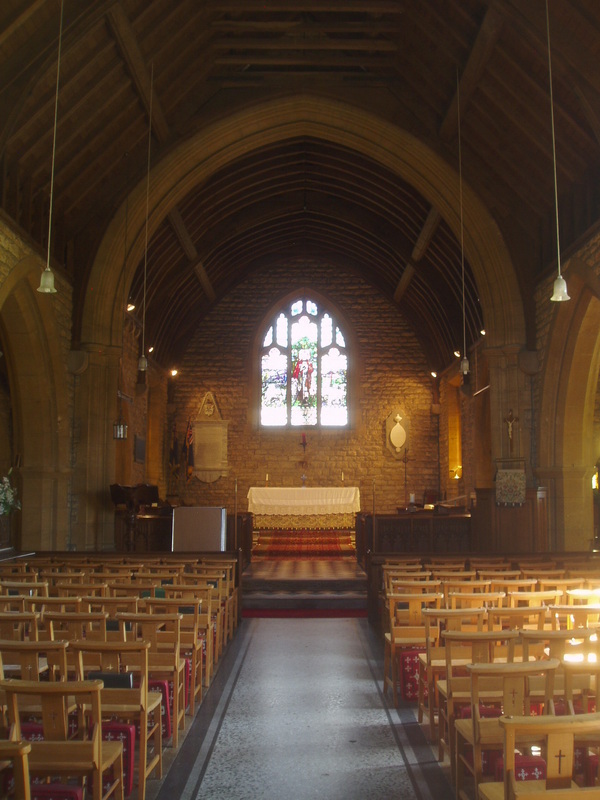 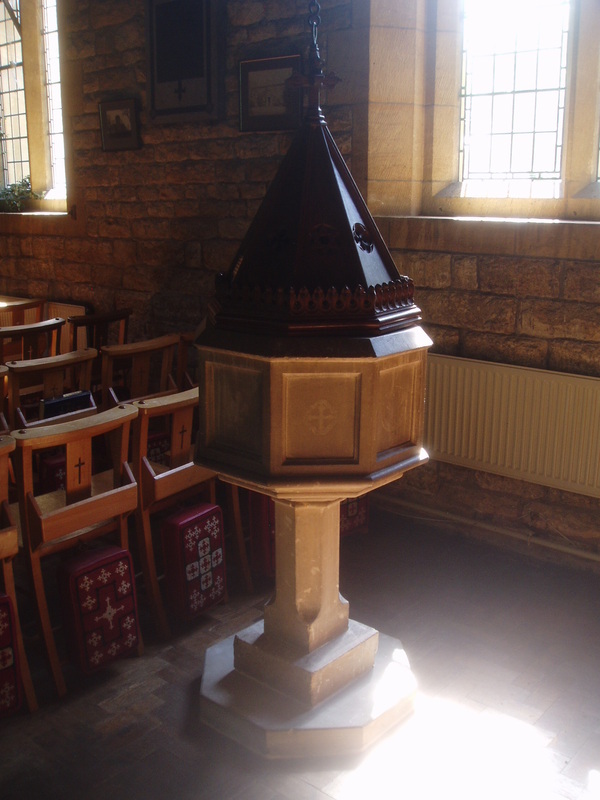 A new church was built in 1795-8 for the new village and was dedicated to St Thomas Becket. 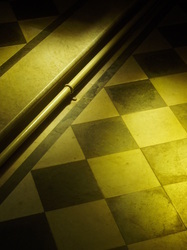 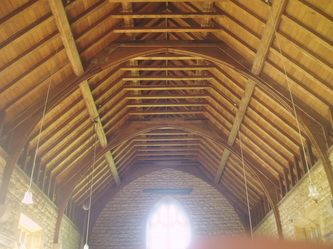 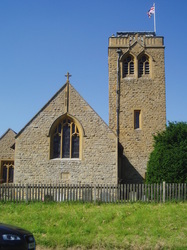 It was a simple, squat building with a low square tower crowned by a low pyramid roof. This is just about all that remains of the building, since it was in turn itself replaced by the new Holy Trinity when it opened in 1903 and was demolished except for the west end, which now overlooks a roundabout on the main road to Stratford. Left derelict for years, the crumbling semi ruin of the old church was more recently incorporated into a new housing developement and has lost it's aged patina in the process (since this photo was taken). 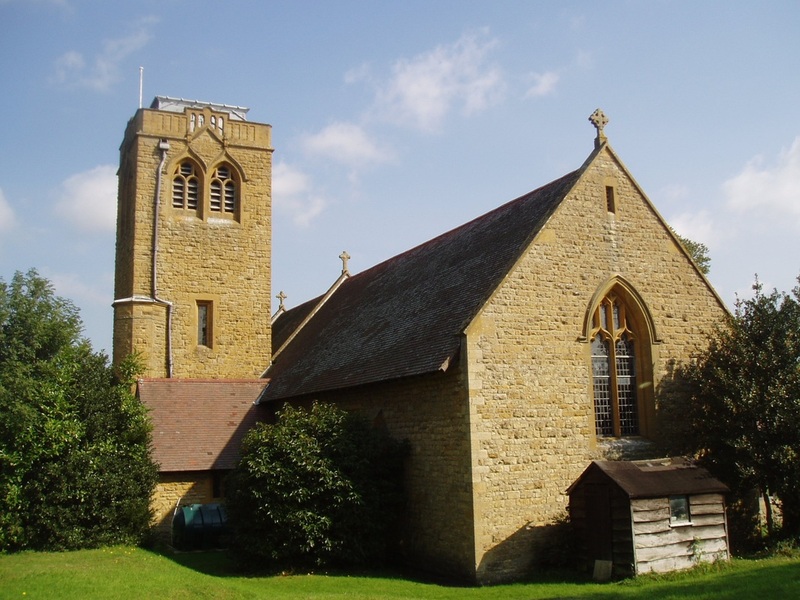 The latest of Ettington's three churches, Holy Trinity was built in 1902-3 by C. Ford Whitcomb, replacing the crumbling St Thomas's up the road. 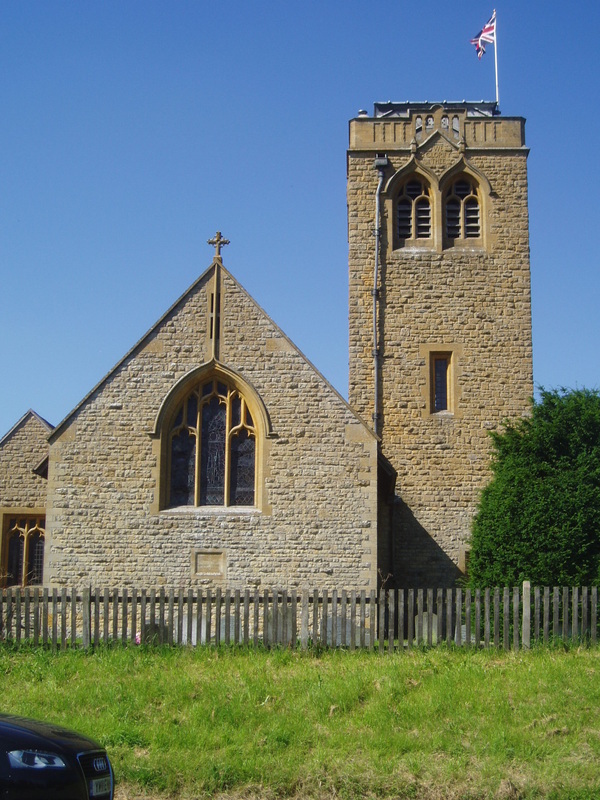 This church is an attractive essay in Arts & Crafts gothic with rich golden brown stonework and an imposing north east tower (with that curious lead box on the roof that looks like it wanted to grow into a spire). I had been keen to see inside for some time, having failed to gain entry on a previous visit. 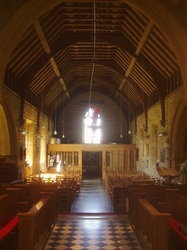 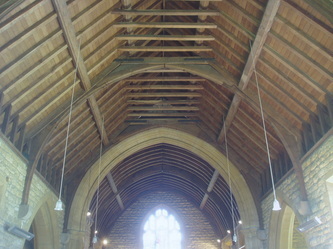 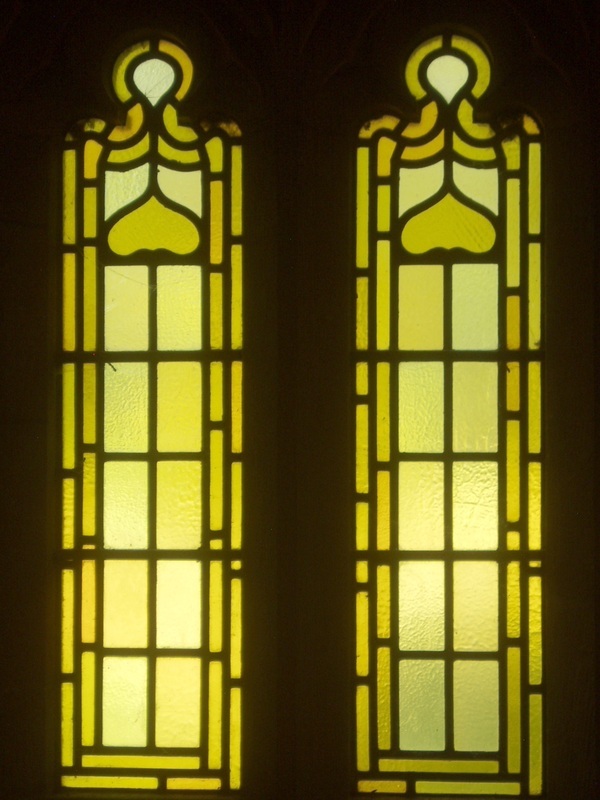 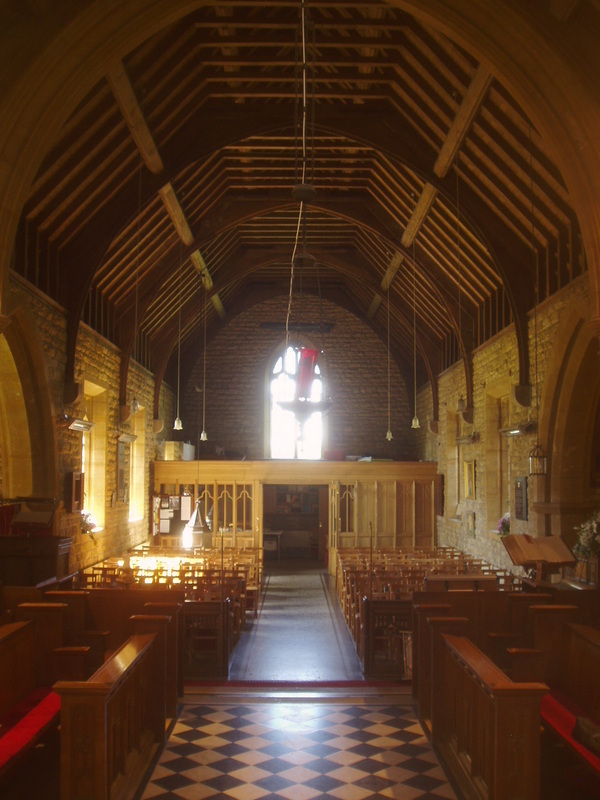 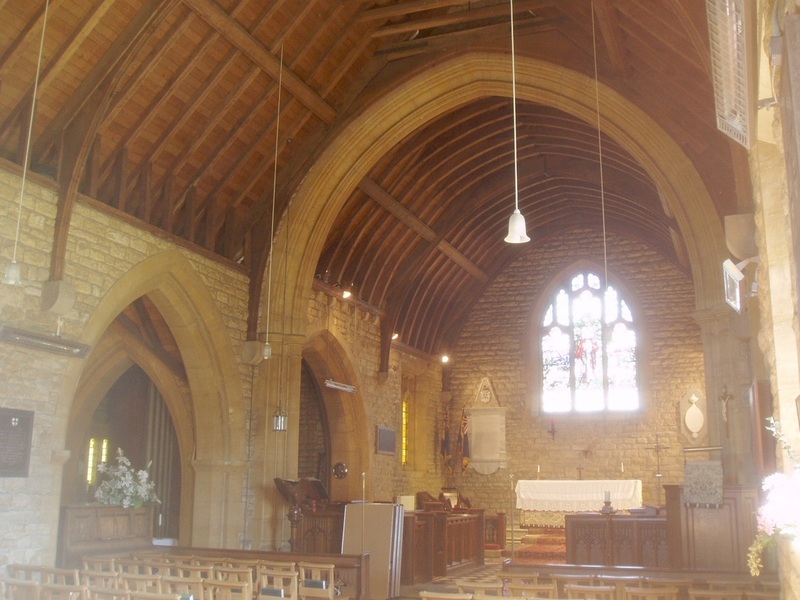 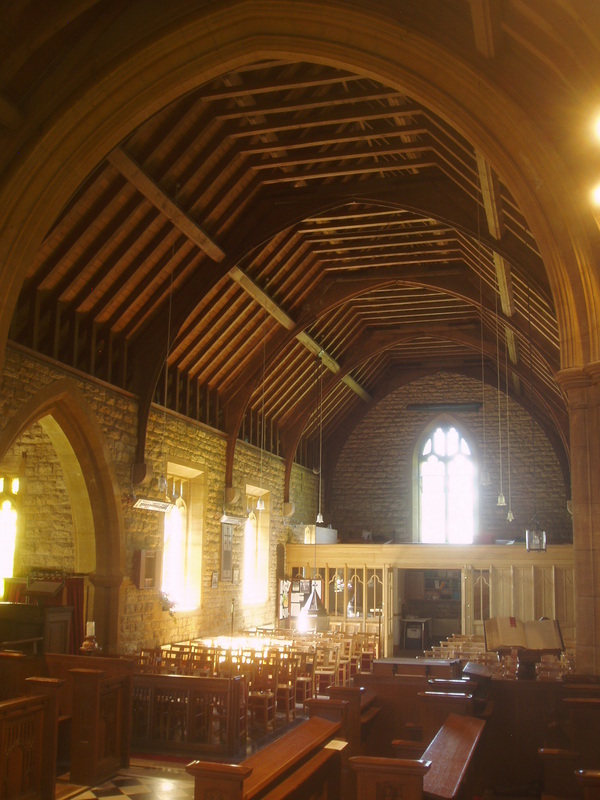 The interior didn't disappoint, all of a piece Arts & Crafts, with fine timber ceilings and attractive, plain leaded windows (yellow glass used for the chancel and chapels), excepting the superb east window by Christopher Whall, a fitting focal point for the interior. 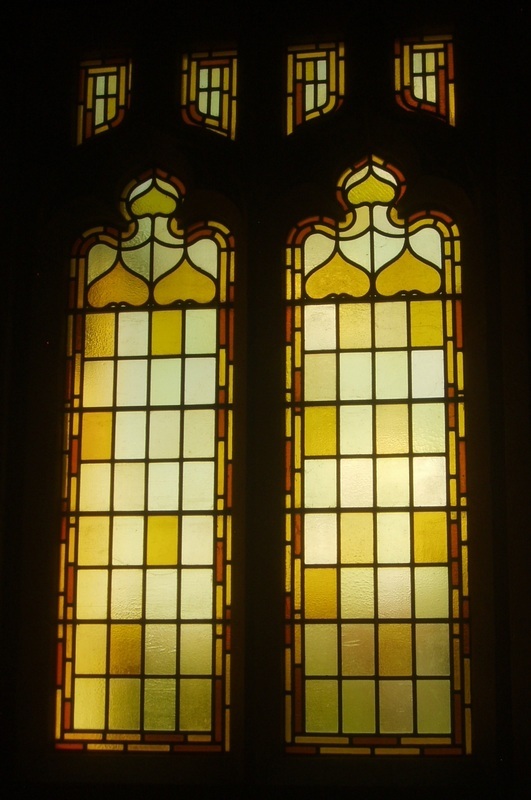 There have been some changes since my last visit (from what glimpses looking through the windows afforded me) with a new wooden screen partitioning the west end, which necessitated moving the font and the Underhill monument. 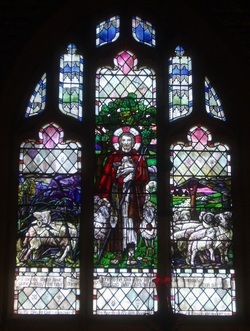 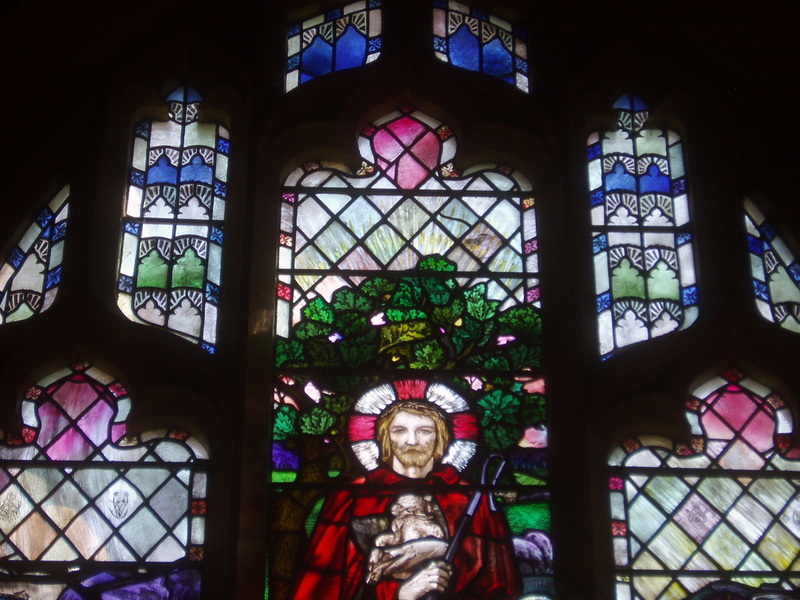 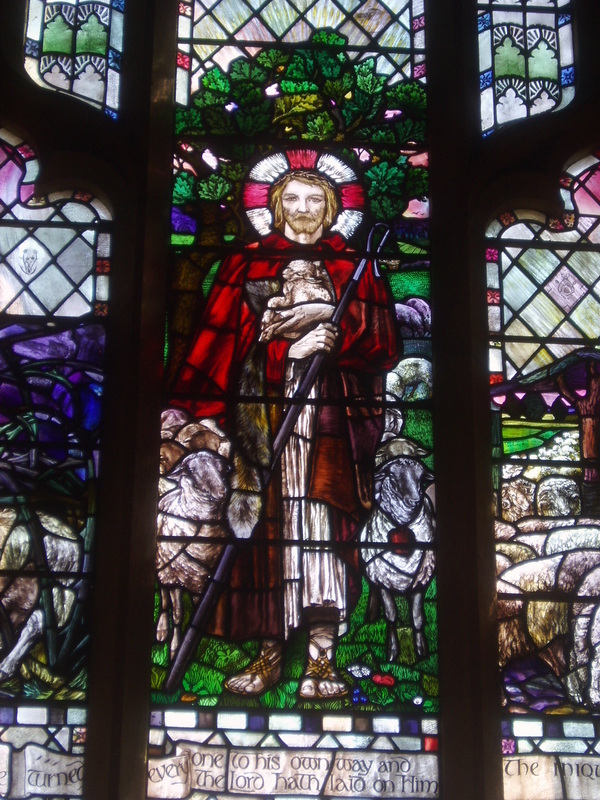 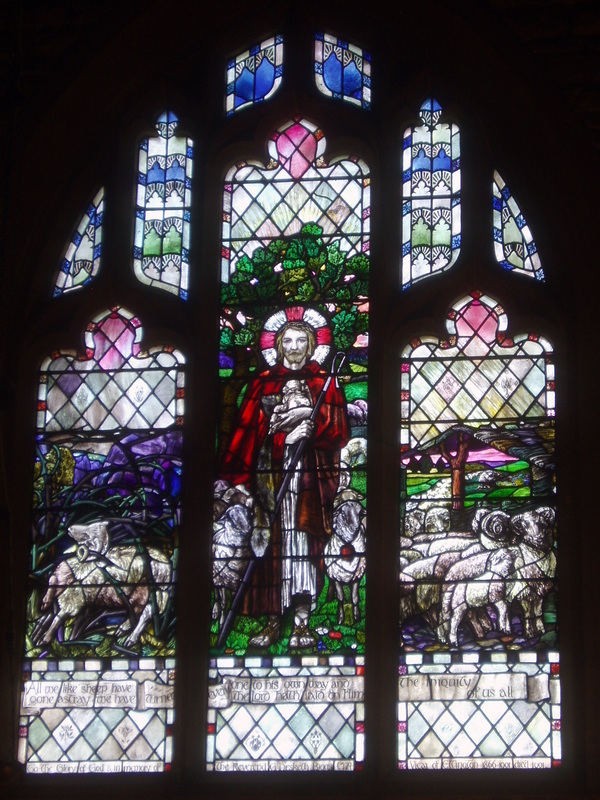 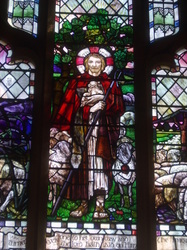 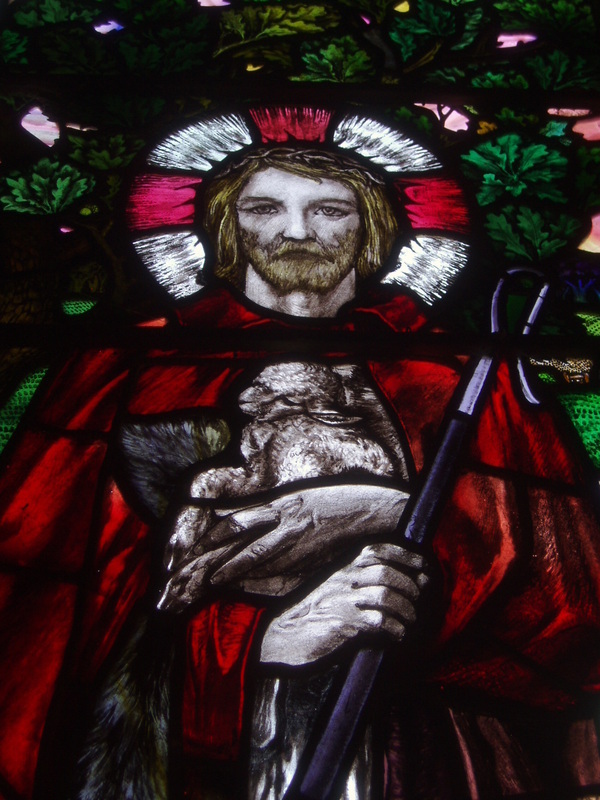 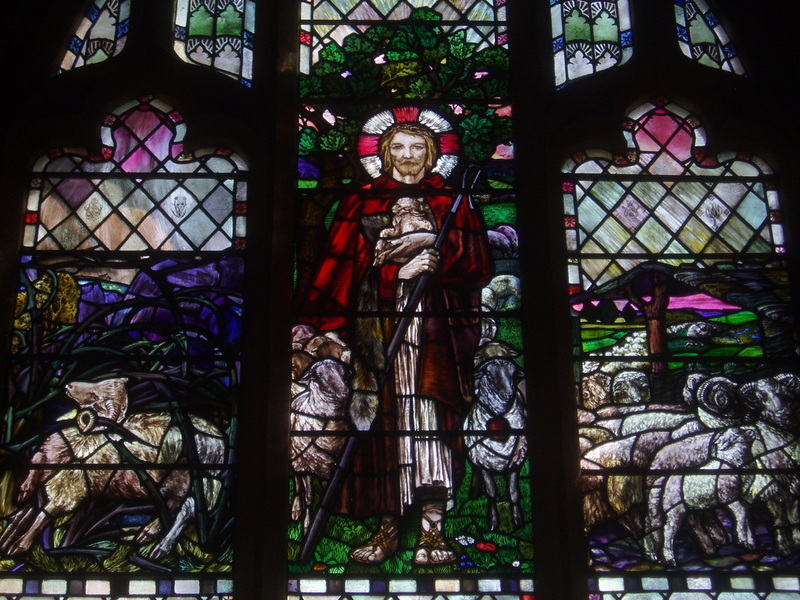 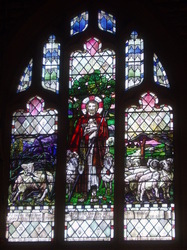 Pride of place goes to Christopher Whall's stained glass in the east window, which represents the Good Shepherd, a rather blond, Nordic-looking Christ holding a lamb and robed in a deep red cloak and surrounded by His flock. 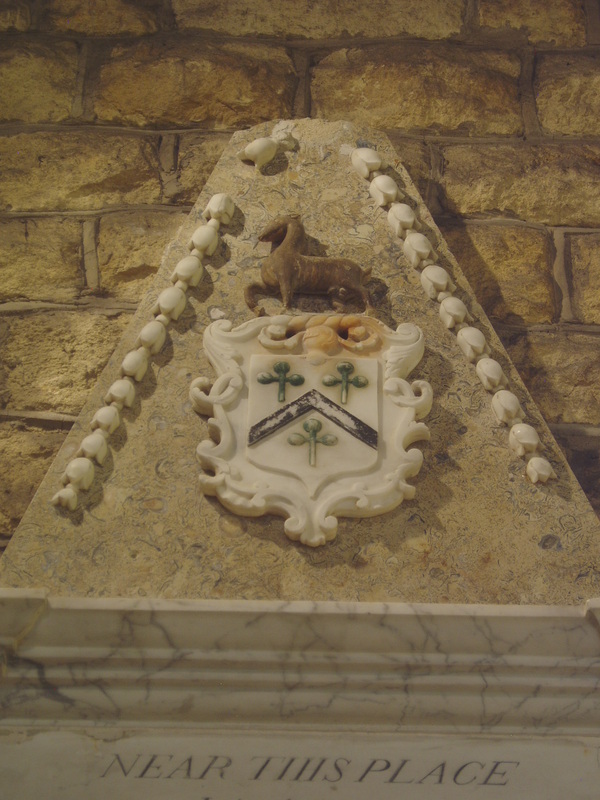 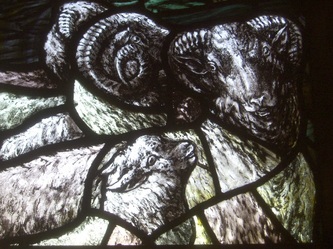 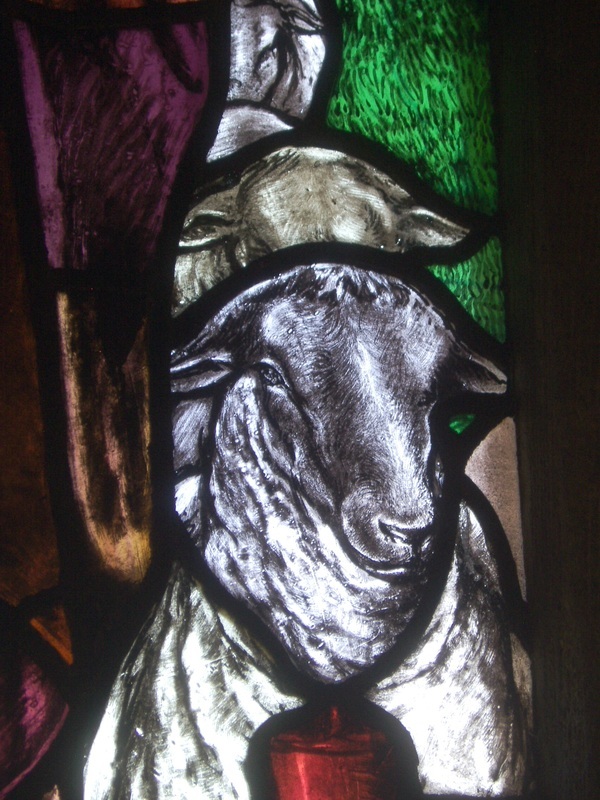 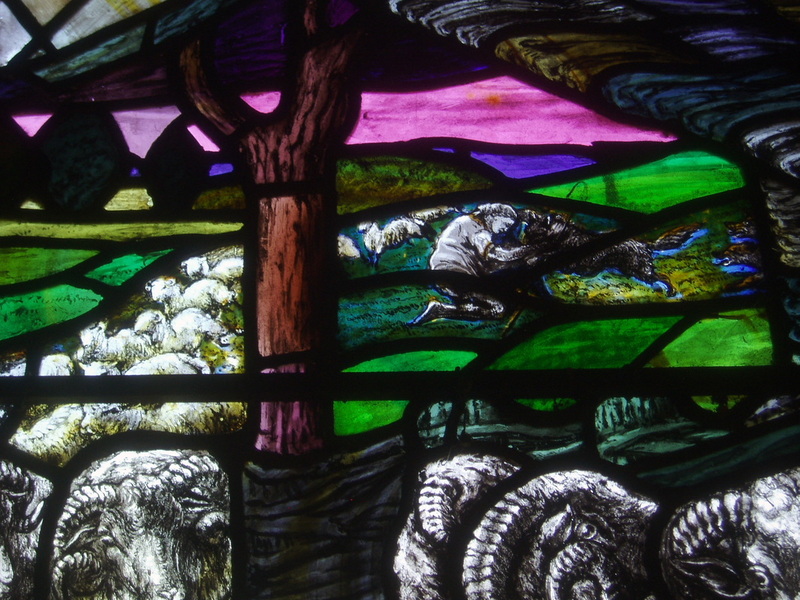 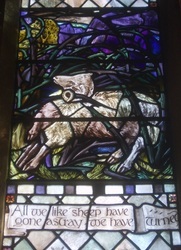 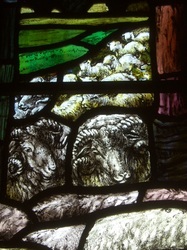 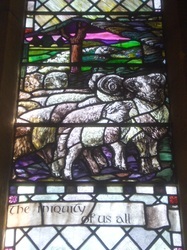 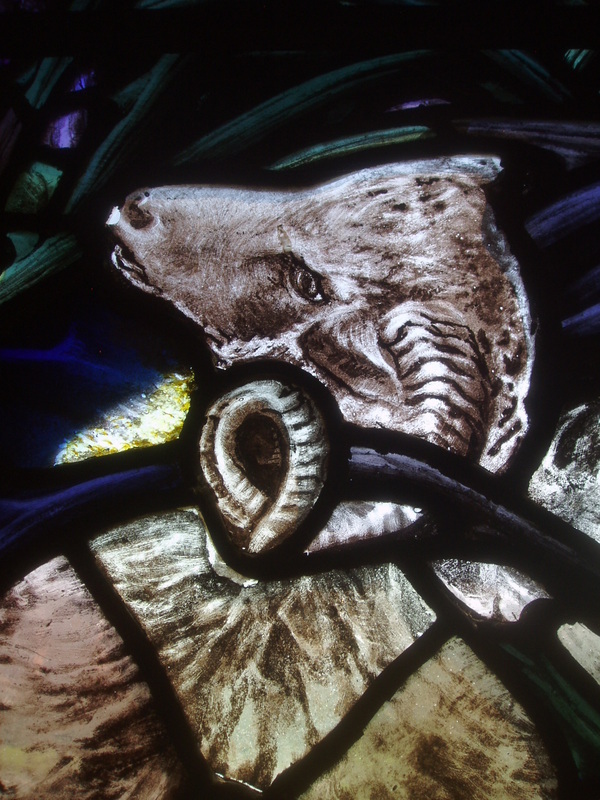 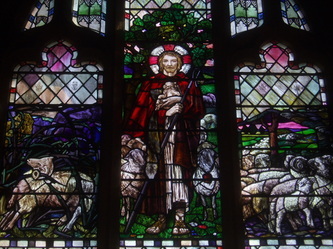 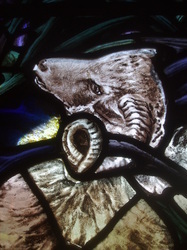 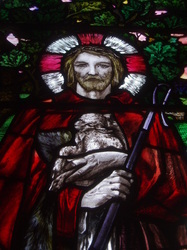 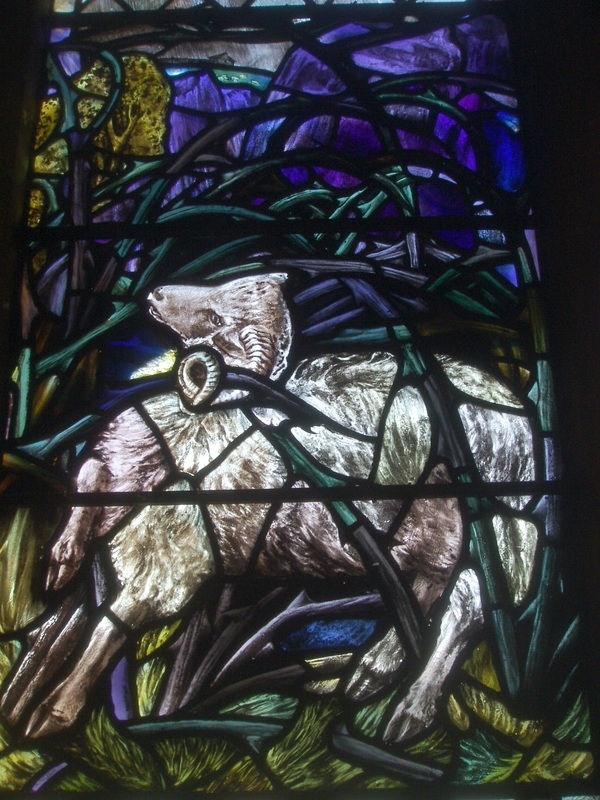 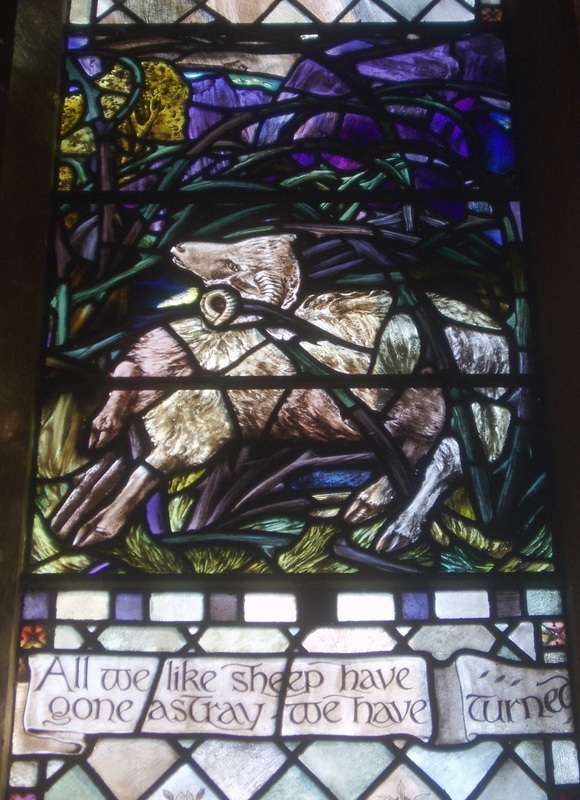 He is flanked by a Ram in the Thicket (representing the lost soul, a dramatic composition used by Whall in his windows elsewhere, such as Southwell Minster and Gloucester Cathedral), balanced by a flock of happy sheep in a peaceful pastoral scene, in the background of which can just be glimpsed a shepherd embracing his loyal dog. The colour palette is mostly limited to greens, mauves, red, pink and a hint of blue at the apex. 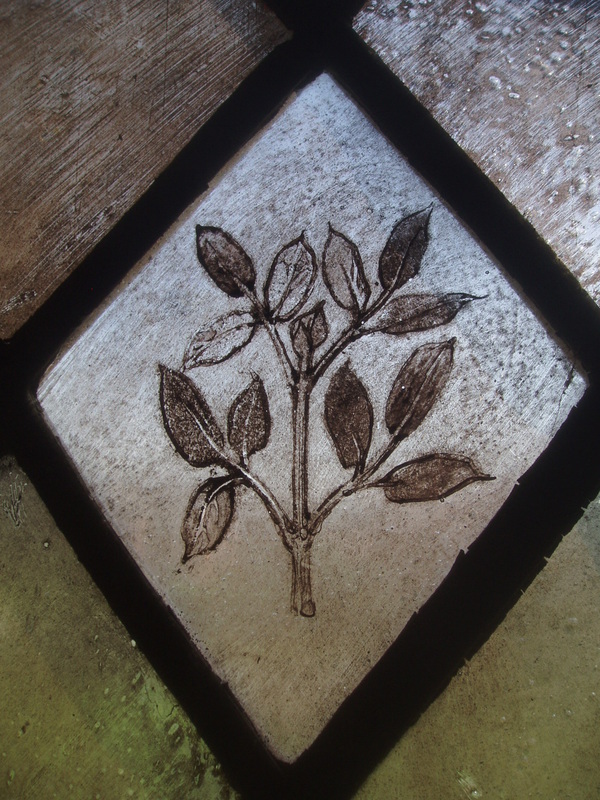 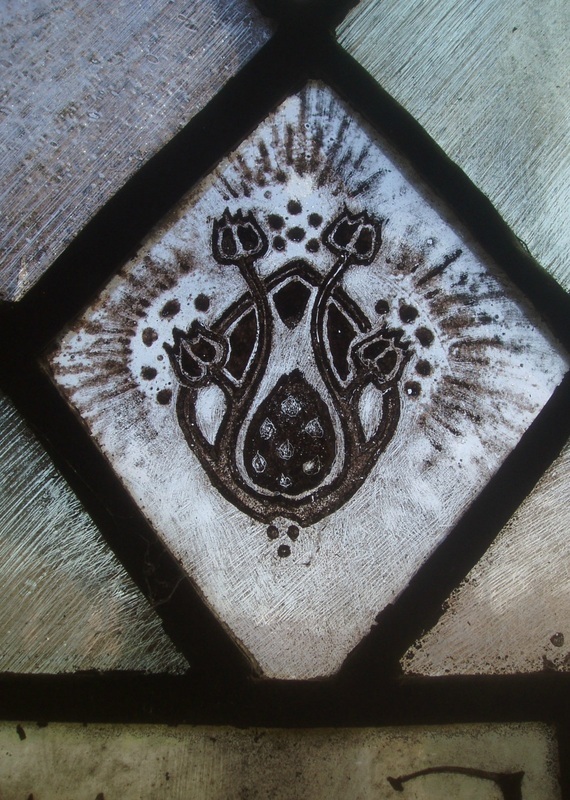 Otherwise the background is of clear 'white' glass or pale green quarries, a few with beautiful stylised designs painted on them. 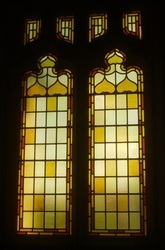 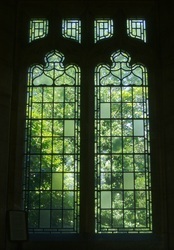 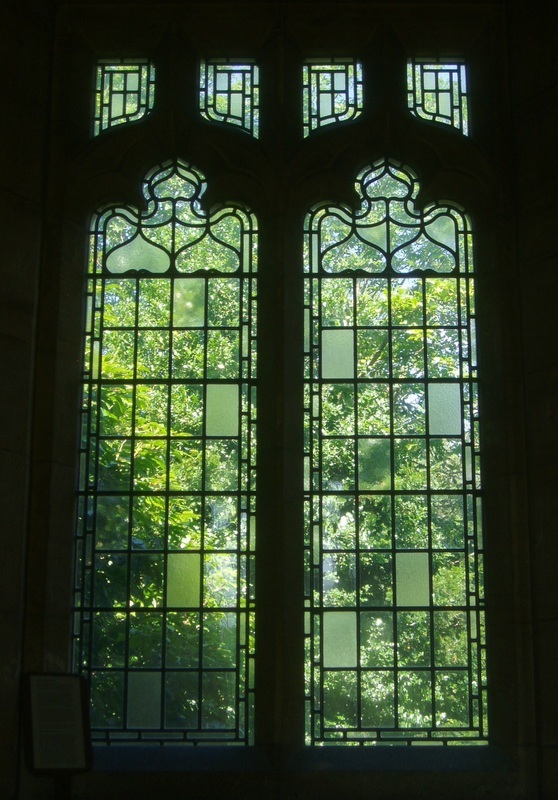 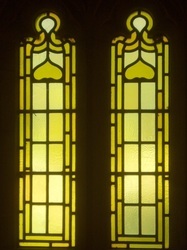 The window is a memorial to Rev. 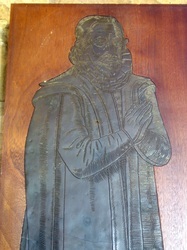 G.Hesketh Biggs, the last vicar of the old church of St Thomas (1866-1901). 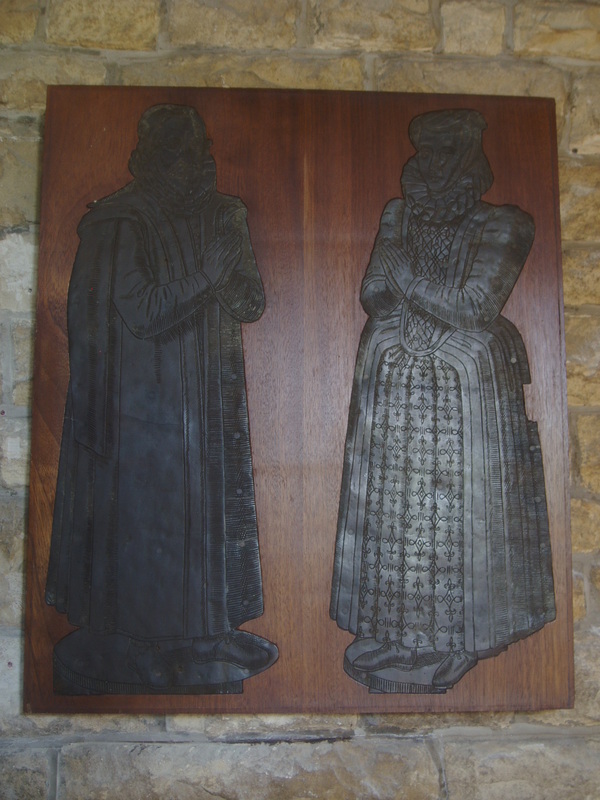 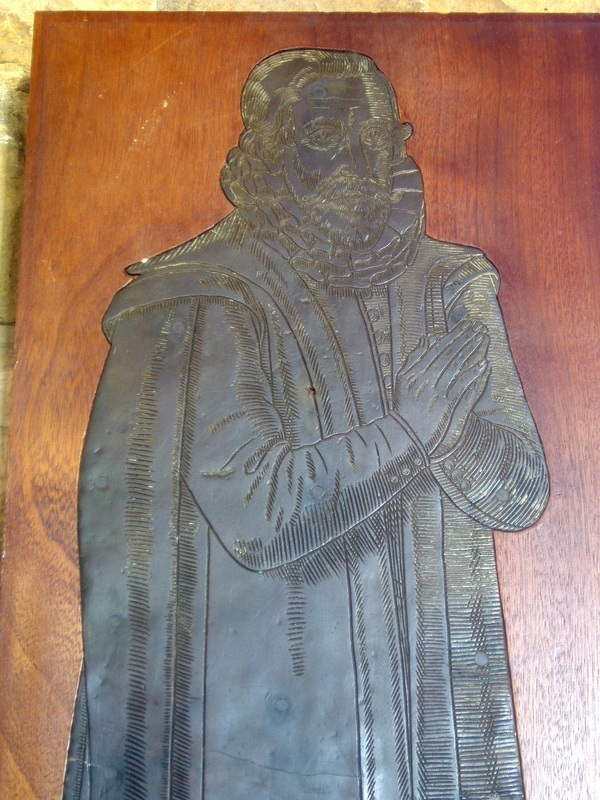 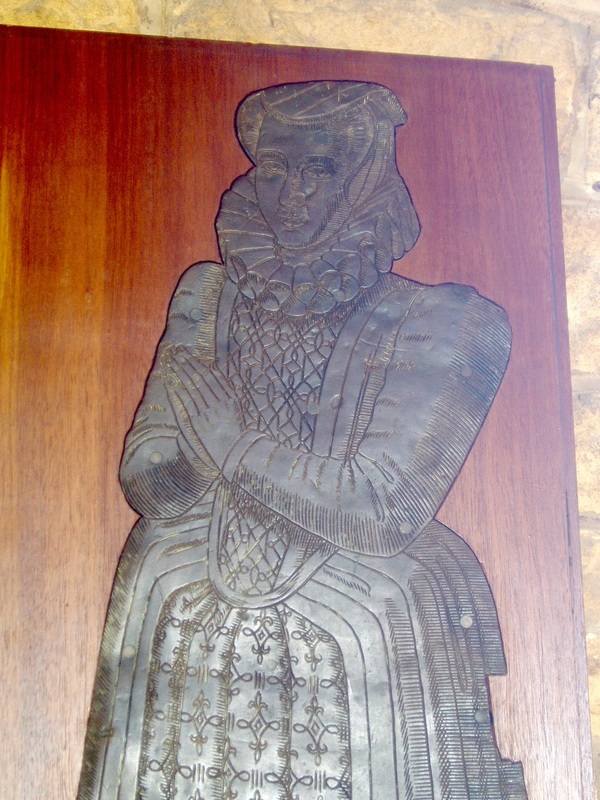 The church contains some figure brasses (an Elizabethan couple, now wall mounted presumably members of the Shirley family?) 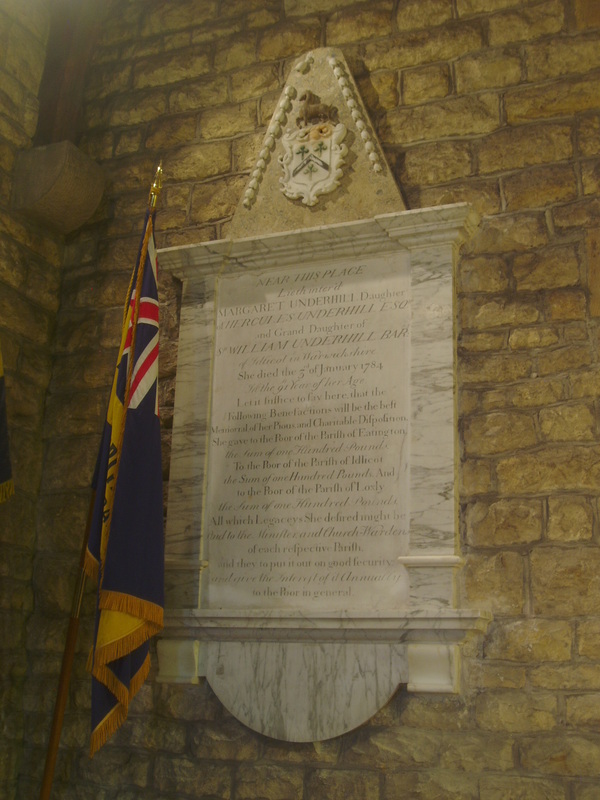 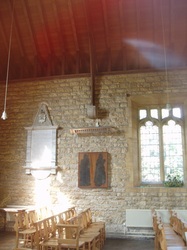 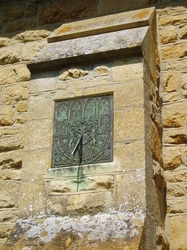 and there are two tablets from the preceeding church in the chancel (the larger one to Margaret Underhill relocated here only very recently), but otherwise the furnishings are contemporary with the building. 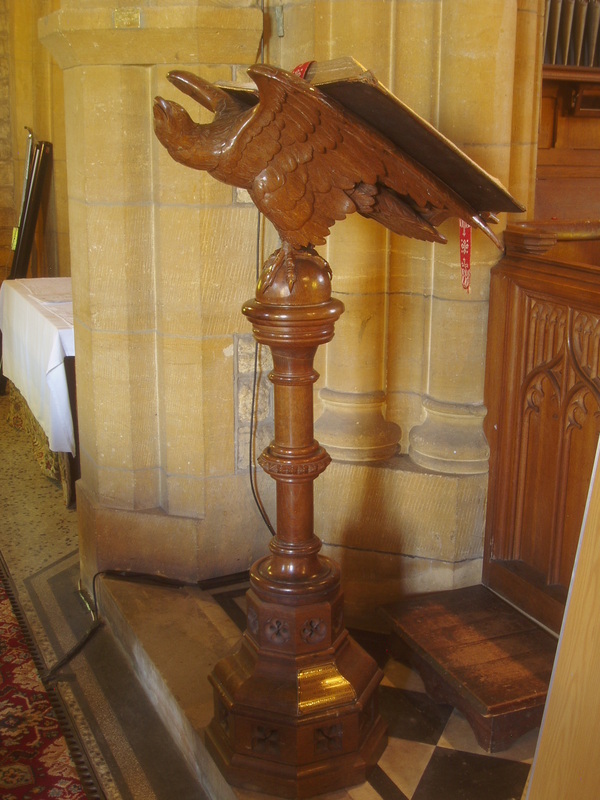 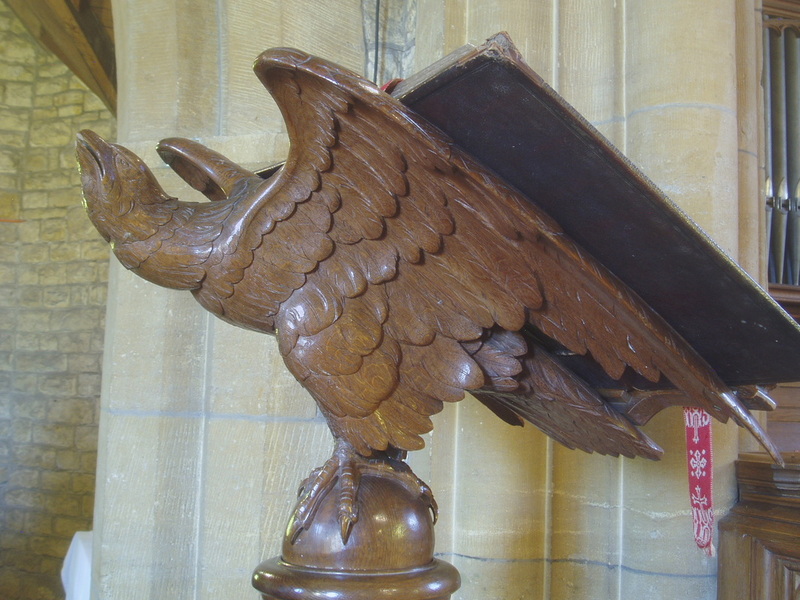 Pevsner records a late 18th century pulpit from the previous church of St Thomas being here, but I could find no evidence of this, the one currently in use seems to be contemporary with the rest of the early 20th century woodwork. Holy Trinity (unlike many of the churches in this area) is sadly normally kept locked without keyholder information, but the parishoners are friendly and hope to open it up more regularly at some point.